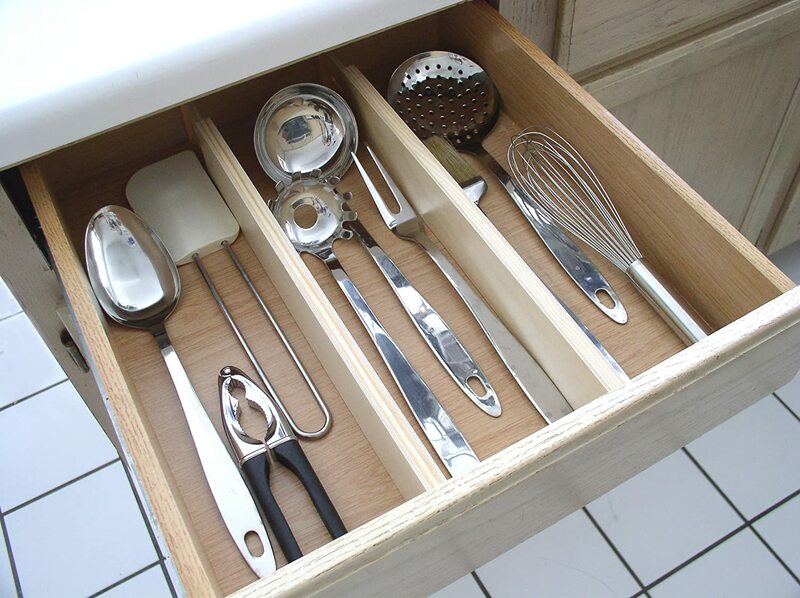 These Kitchen Organization Ideas are simple to do and great for any kitchen size. 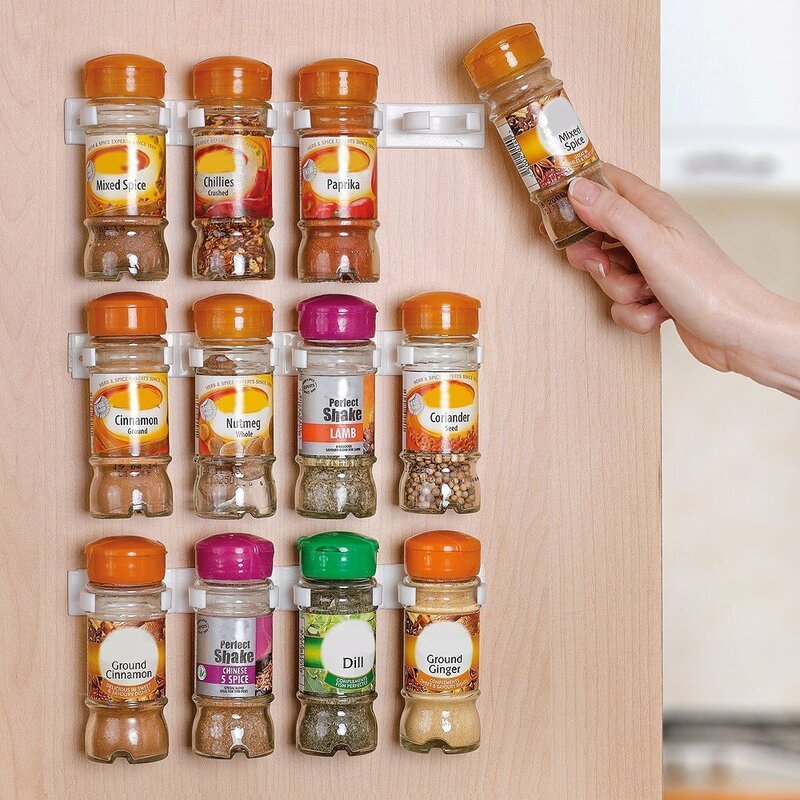 I already have some of these Organization Kitchen Hacks in my own kitchen and the rest of them are in my Christmas Wish List for Santa this year. 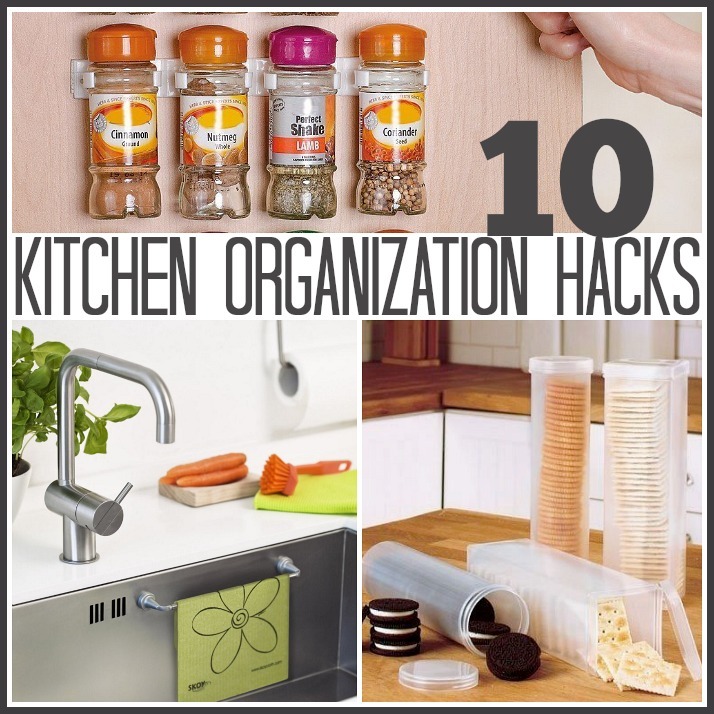 I can honestly say that all I want for Christmas is a clean an organized house! 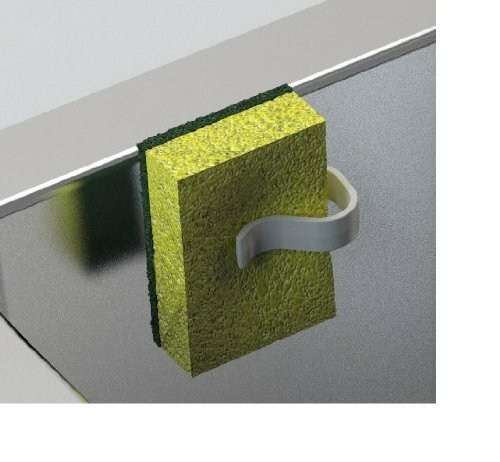 Keep your sponge and cleaning rug clean and out of the way! You can find the rug holder HERE. 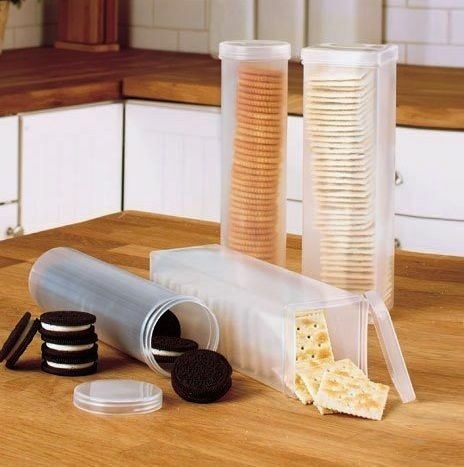 …and the sponge holder HERE. What a neat way to keep all your plastic bags in one place! Use a Magazine Holder to keep your plastic wrap and aluminium foil organized. You can find Magazine Racks HERE. 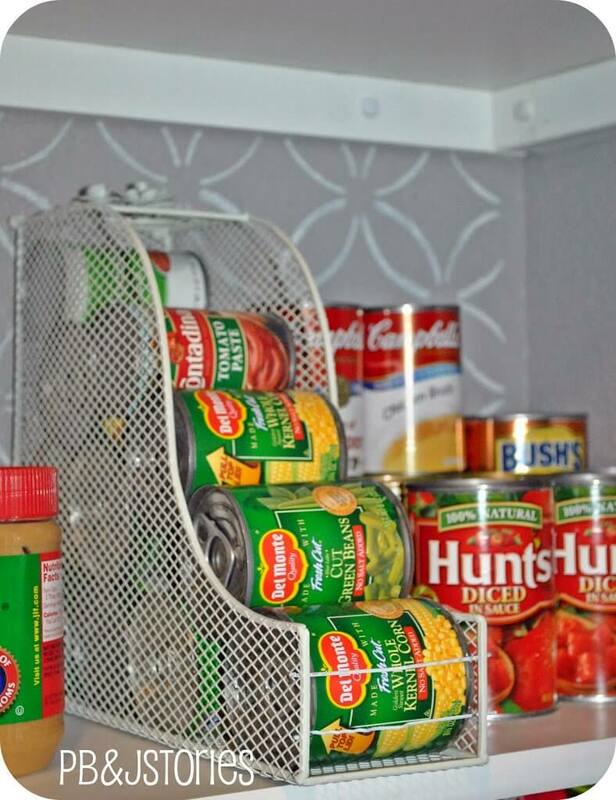 I also love how PB & J Stories used a magazine rack to hold her cans. 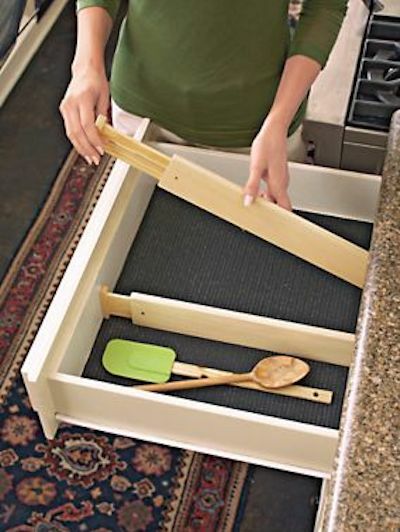 Use tension rods for lids, cutting boards, or cookie sheets! You can find Tension Rods HERE. 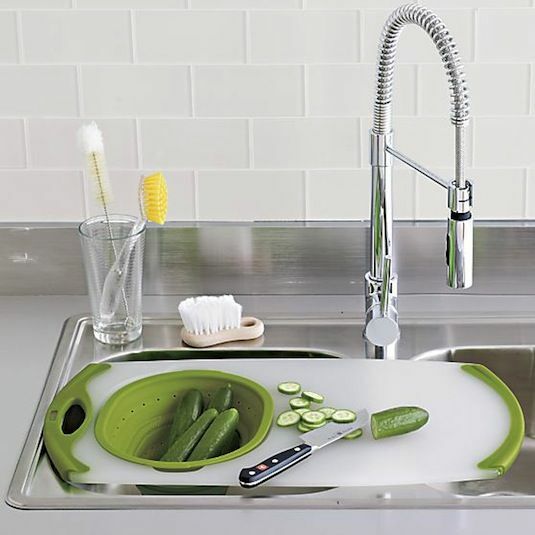 Prepare it, cut it, and wash it in one place! I need these babies PRONTO! 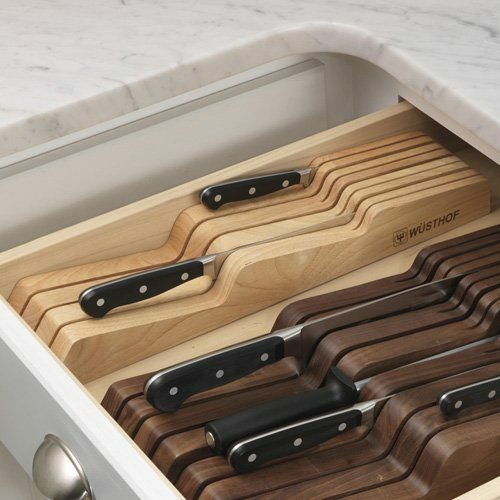 Free up countertop space while keeping your knives organized and out of site! I don’t know how many squished and soggy crackers I’ve thrown away over the years! 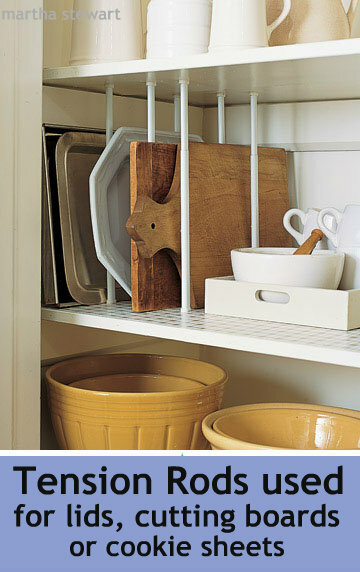 What an awesome way to use the inside of your cabinet’s door! 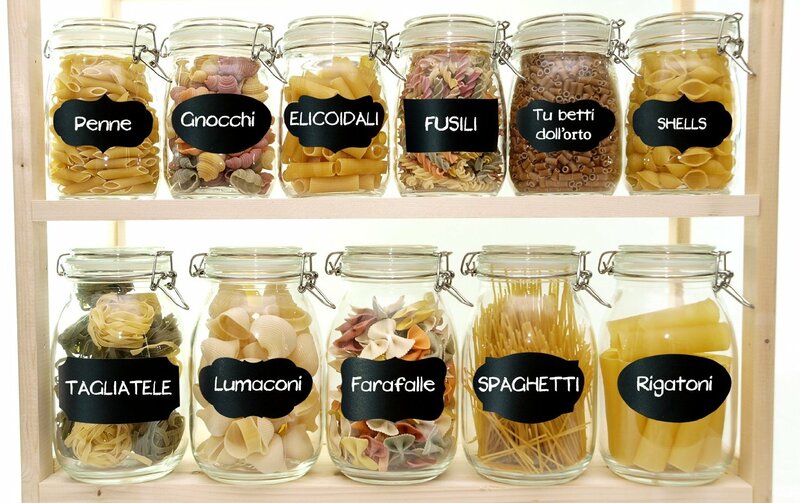 Turn empty jars into adorable organized canisters! 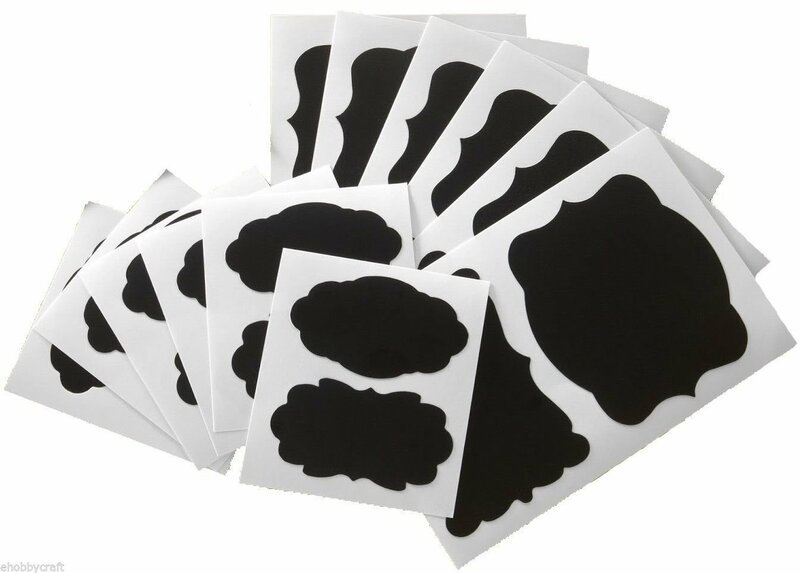 I love all of these idea! Here are some other ones that you may like! 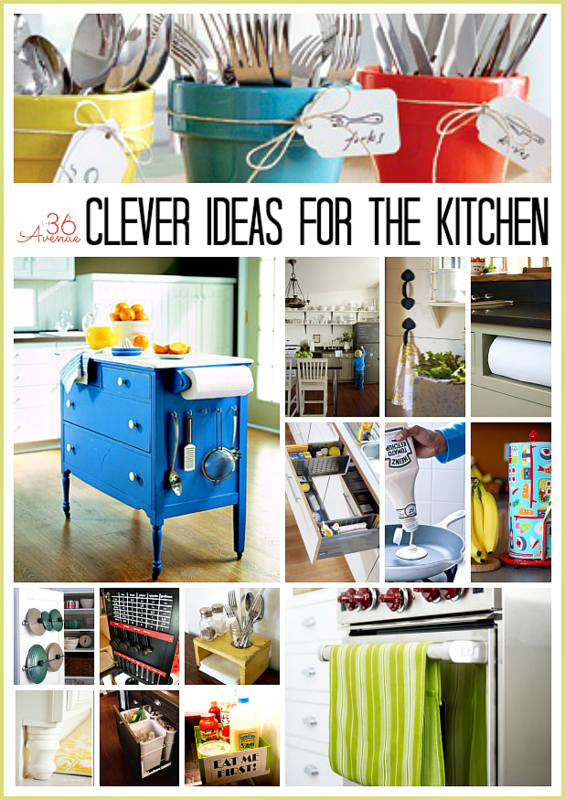 For awesome and clever kitchen ideas click here. 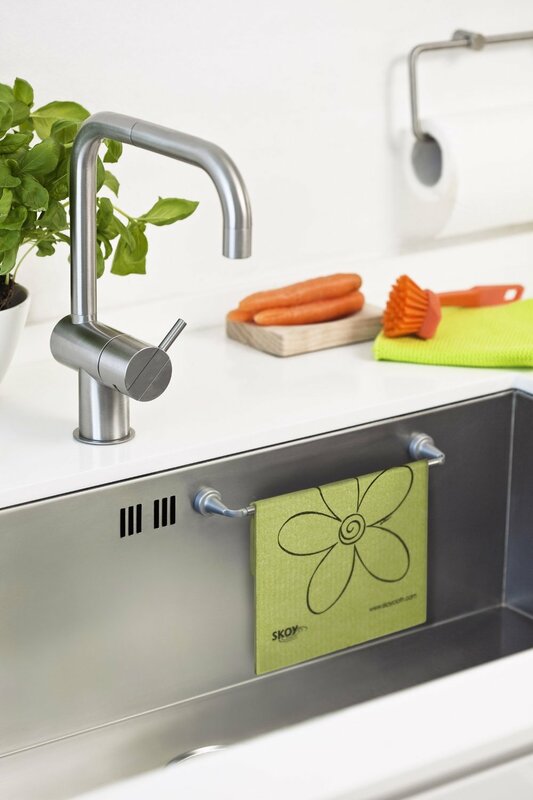 I have been thinking of getting a over the sink cutting board. You might have talked me into it. 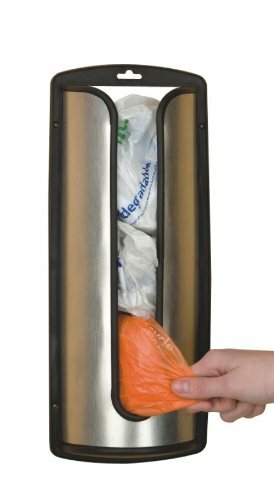 I do have a stainless steel bag holder and it is the best!